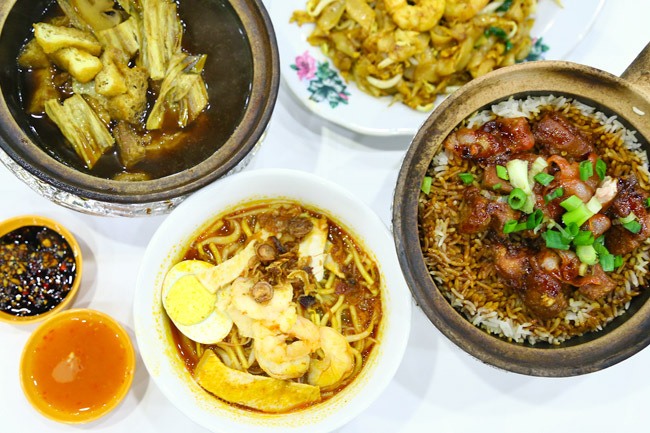 Its food highlights are located in ‘precincts’ such as Mongkok, Malaysia Boleh!, Korean Street, Japanese food street Shokutsu Ten and a selection of restaurants that offer Halal Delights (Ayam Penyet Ria, Fish & Co, Prata Wala and Swensen’s). The good news is, you can now Feast Your Way To Your Dream Holiday by dining at any of the five precincts, and stand a chance to win a trip for two to Los Angeles and other exciting destinations! The transformation of this section at Level 3 of Jurong Point had been the talk of town for its over-the-top décor that feels so Hong Kong. 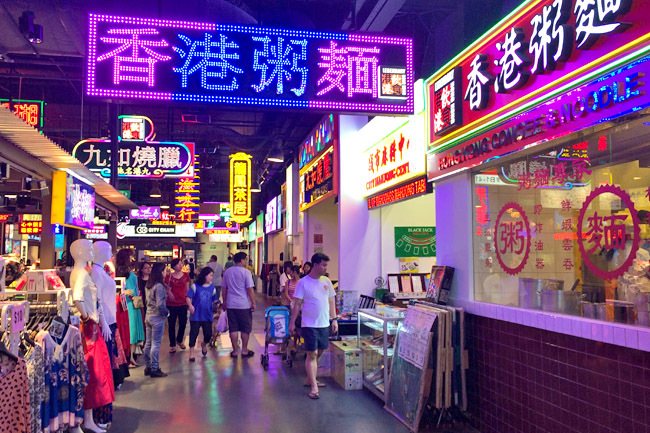 Walking through the profusion of neon signs and Chinese shops makes you feel like you are at the real Mongkok. Legendary Hong Kong is the highlight within Mongkok. The interior is modeled like an old-school HK Cha Chaan Teng, serving a spread of roast meats, pastry, toasts, noodles, congee and dim sum. 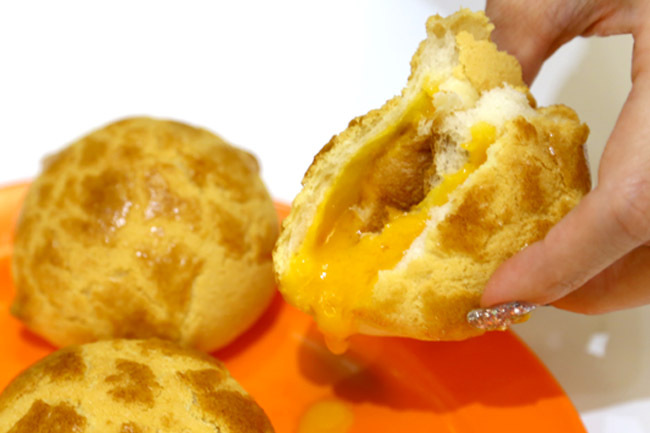 Don’t miss the oozing Custard Bun with a crispy bolo bun exterior. Their house specialty is the London Roast Duck, sometimes known as the ‘best duck in the world’ for its succulent meal and tasty flavours. 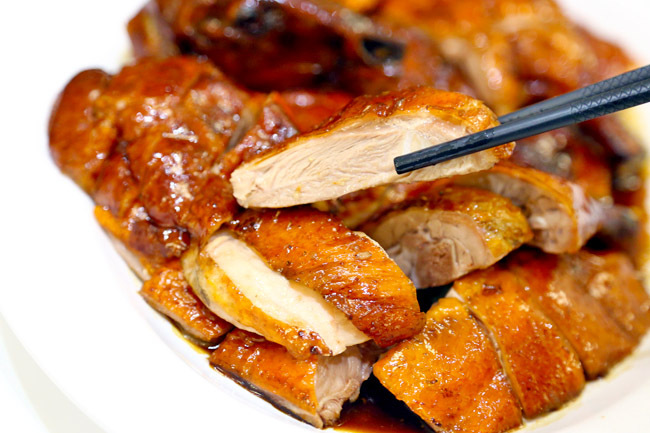 Legendary Hong Kong gets the premium duck supply exclusively from Silver Hill Farms, where each duck sold is de-feathered by hand so as to ensure integrity of the quality of meat and no bruising. 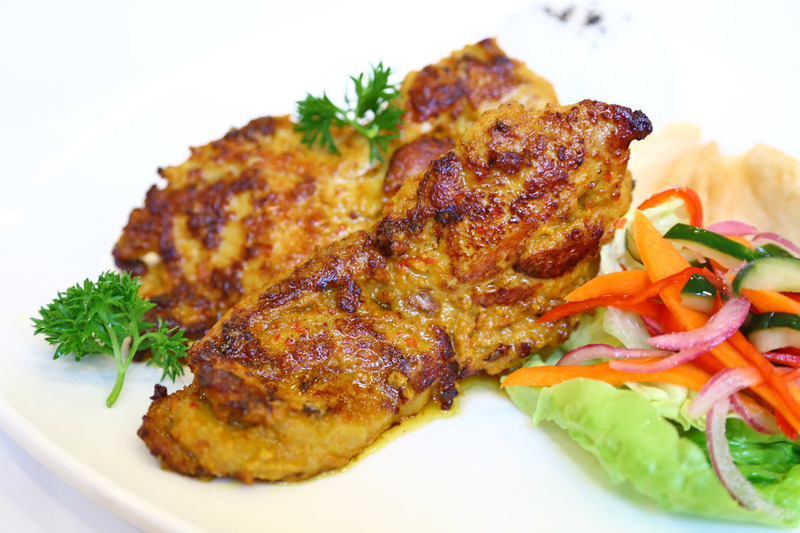 Do you know that roasted pork is to be eaten with mustard, roast duck with plum sauce and the roasted chicken with a garlic sauce blend for the best complement? This was told to me by a waitress here. Looks like Legendary Hong Kong is keeping things authentic here. Malaysia Boleh! 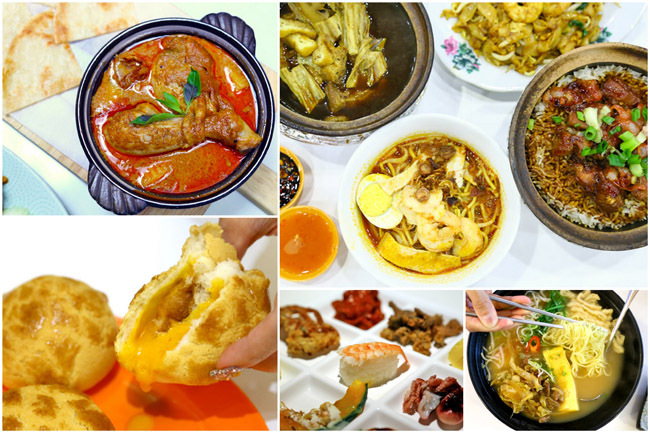 Is the one-stop space where you can get the best of authentic food offerings from Penang, Kuala Lumpur and Ipoh. 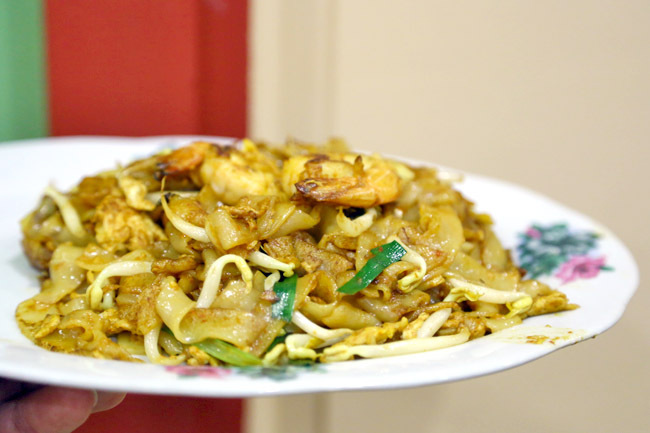 The Penang food is apparently very popular here – from the eggy Char Kuay Teow full of wok-hei (easily one of the longest queues here); Jalan Cheong Fatt Tze Hokkien Prawn Mee with rich prawn broth; and Loh Bak from the famous Kedai Kopi Seng Thor Lebih Carnavon Loh stall. Other than the smoky dark-sauced KL Hokkien Mee, my other must-order dish here is from Petaling Street Famous Claypot Chicken Rice, with generous servings of Chinese sausage and succulent well-marinated chicken pieces. Annyeong-haseyo! 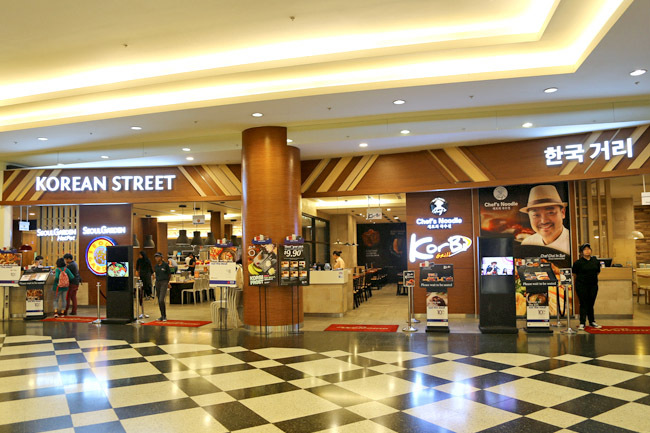 Offerings at the Korean Street include Korean style BBQ and steamboat buffet restaurant Seoul Garden, Seoul Garden HotPot (sister outlet offering an a-la-carte menu of stews and stocks), Korbi Grill (meats on hot lava stone) and Chef’s Noodle. 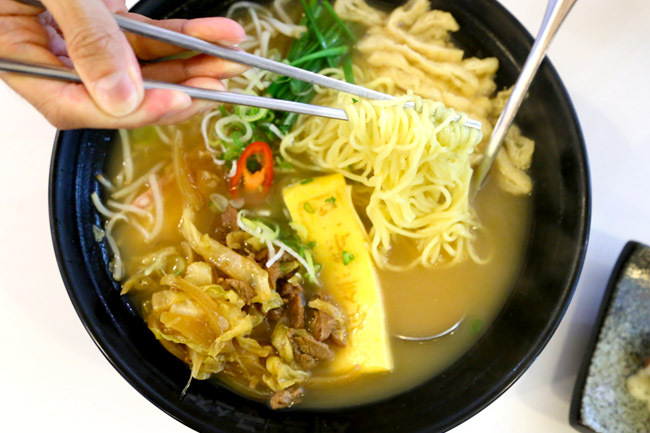 The signature at Chef Noodle is the Chef’s Guksoo – kind of ramyun meets ramen, yet with its own unique quality. The broth is an off-white light savoury- sweet flavoured beef broth, spicy but not the type of intense Korean-spicy you would have otherwise expected, and topped with stewed pork bulgogi, vegetables, and a signature rectangular egg-roll. For Japanese food lovers. The bustling 17,000 square feet space is modeled to look like Edo-era Tokyo at one end and modern Osaka, with a Kabuki-inspired entrance façade. 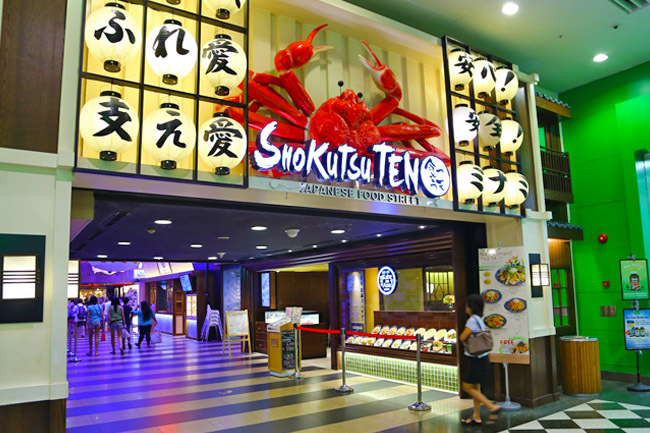 Shokutsu Teu Ten showcases restaurants and kiosks such as Ichiban Boshi, Kabe No Ana Japanese Pasta, Kuriya Japanese Market, Men-ichi Japanese Ramen, Shabu Tontei and Wadori. Kuishin Bo Authentic Japanese Buffet needs little introduction (remember that “Dong Dong Kushin Bo ad song?) 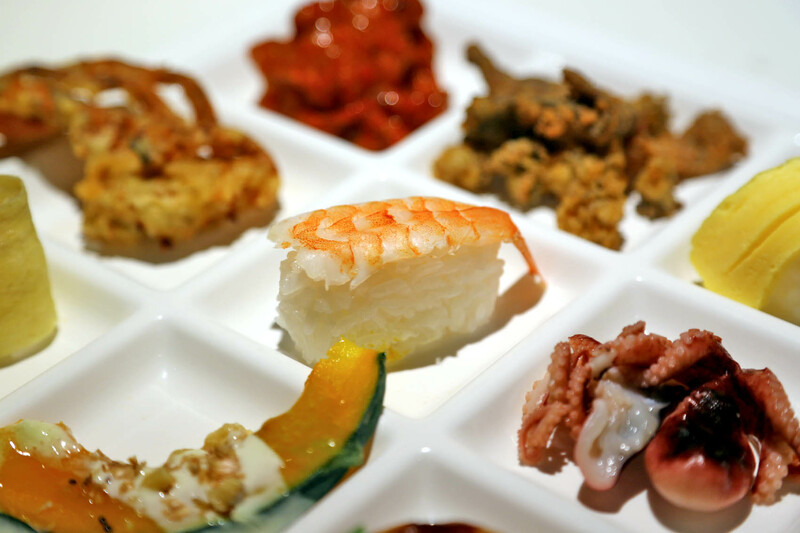 and is popular for its Zuwaikani (snow crabs) and wide array of sushi (including nigiri sushi, handrolls and maki), sashimi, fresh seafood (mussels, prawns, shellfish, baby octopus), Japanese deserts (mochi, Japanese cheesecake, konnyaku jelly, giant chocolate fondue) and hot dishes. 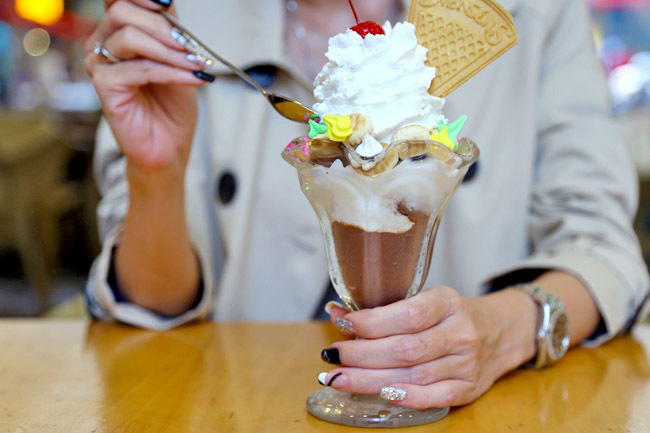 Swensen’s (#B1-64) has launched special items for the last two months of the year, so better have them before they are gone! I liked the Chicken Istimewa best, incorporating Indonesian spices into grilled tender chicken, served with sambal balachan (still manageable in spiciness) and achar. 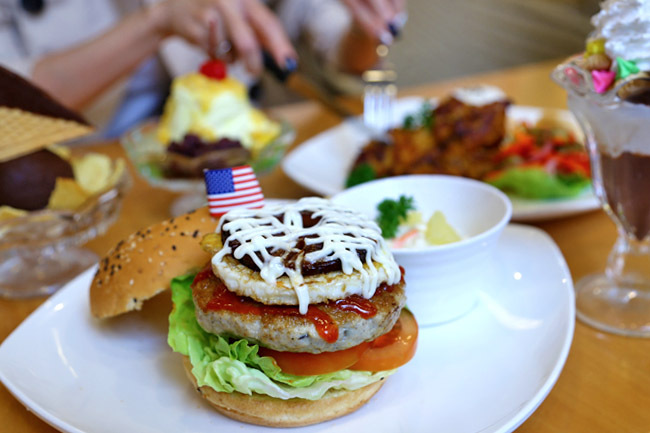 The Christmas special dish is a Turkey burger which had moist turkey patty (not as dry as I would have expected), fried egg and grilled pineapple in gula melaka sauce (!). Match it with old-school inspired desserts from Child’s Gem Delight, Sweet Corn Fever Forever to Potong Supreme Pleaser – that comes with chocolate dip chips with ice cream and red bean potong ice cream! Do you know that ThaiExpress is celebrating its 13th anniversary this year? The home-grown chain restaurant has introduced a couple of new dishes such as Chicken Thigh Pasta In Curry Sauce Topped With Crispy Noodle and Prawn Cake Donuts Served With Thai Sweet Chili Dip. 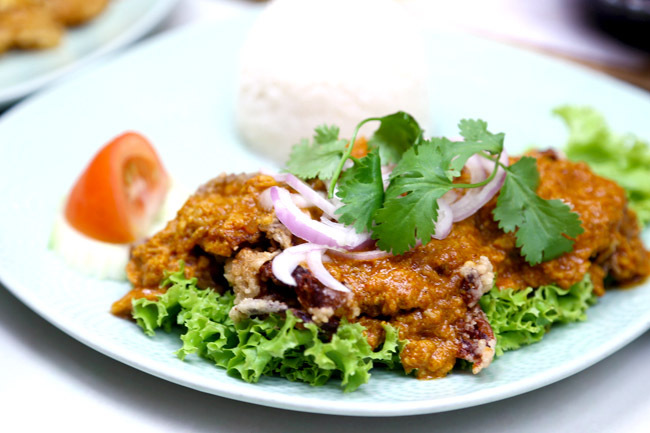 If you want to stick to their favourites, one of its best-selling dishes is the Poo Phat Pong Kari – deep fried soft shell crab, egg, and onion curry with rice, best paired with their Thai Iced Milk Tea. 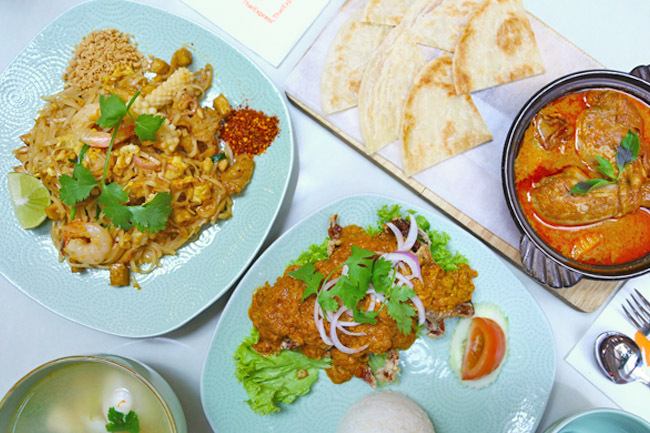 ThaiExpress is also one of the few restaurants to offer the Massaman Curry (which was once ranked first by CNN Travel in the World’s 50 Best Foods). 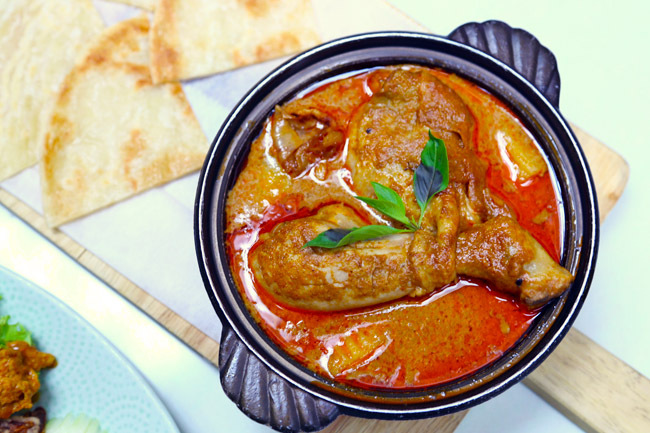 Preparation is quite labour intensive and requires more than 20 ingredients to cook the curry base, and this comes with a fall-off-the-bone tender drumstick. 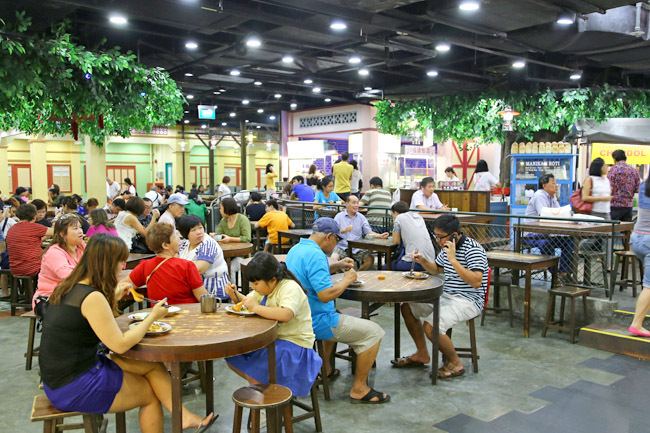 Stand a chance to win a trip when you dine at Jurong Point! How to participate: Spend $50 in a single same-day receipt from selected restaurants under Mongkok, Shokutsu Ten, Korean Street or Halal Delights precinct and get a stamp on the passport. Grand Prize: Complete all five precincts and stand a chance to win a trip to Los Angeles. Accumulate all 6 stamps and stand to win a pair of air tickets to Hong Kong, Japan, Korea and Dubai. Furthermore, spend $20 in a maximum of 5 single-day receipts for Malaysia Boleh!, accumulate all 8 stamps and stand to win a trip for 2 to Club Med Cherating. 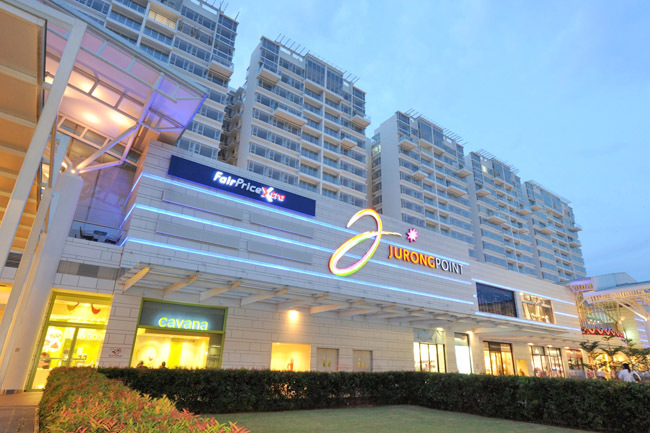 * This post is brought to you in partnership by Jurong Point.